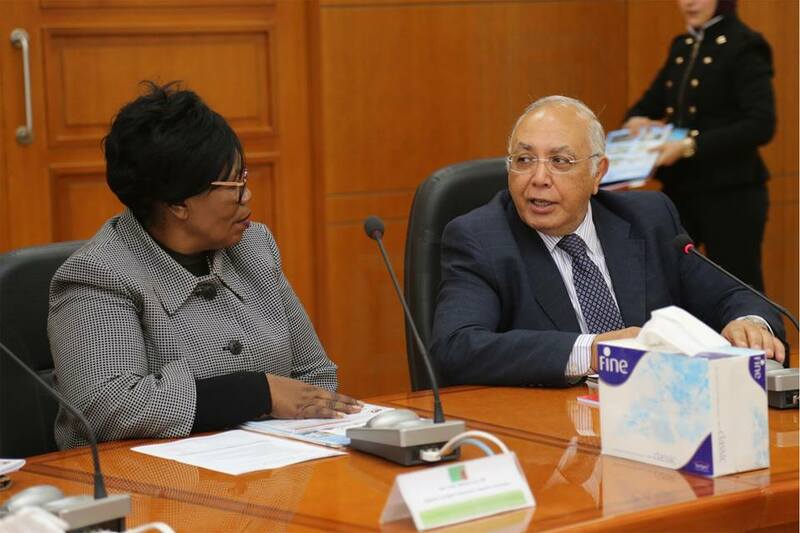 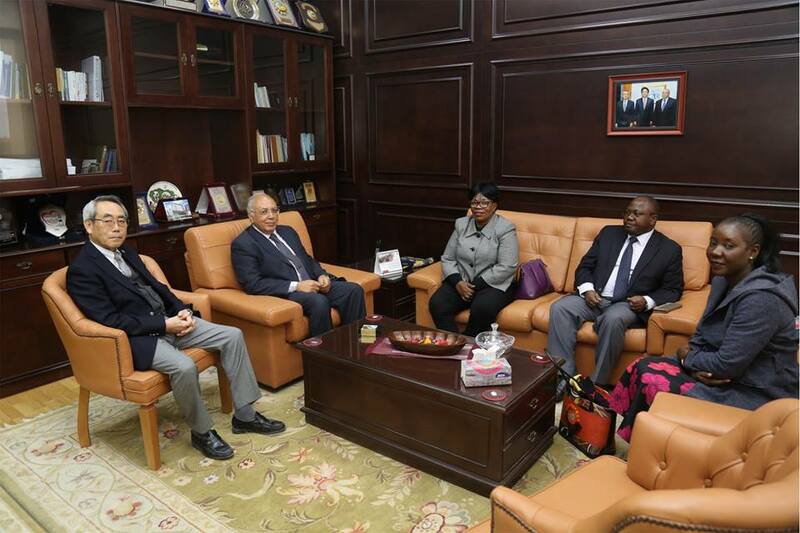 On Tuesday February 13th, 2018 E-JUST President Prof. Ahmed Al-Gohary welcomed Zambian Minister of Higher Education Prof. Nkandu Luo, and the Zambian Ambassador in Egypt. 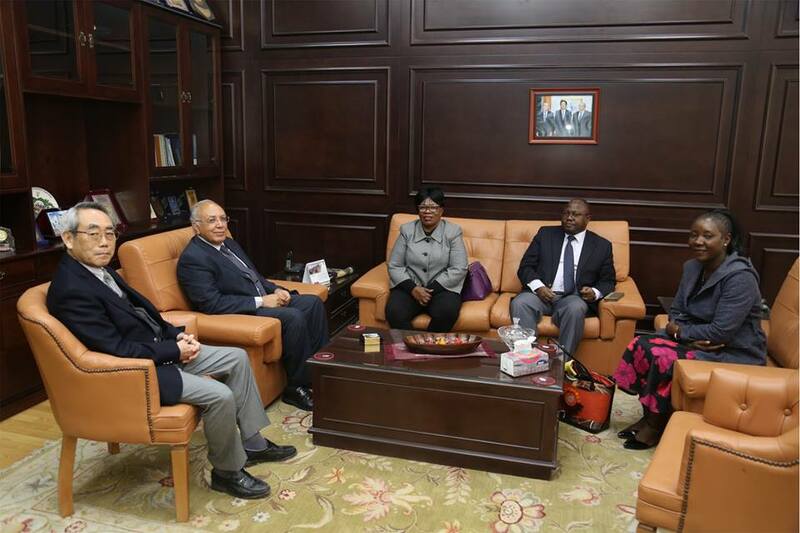 Discussed topics included possible means of cooperation with Zambian universities to benefit from the Japanese techniques implementation in education, based upon scientific and laboratory experience. 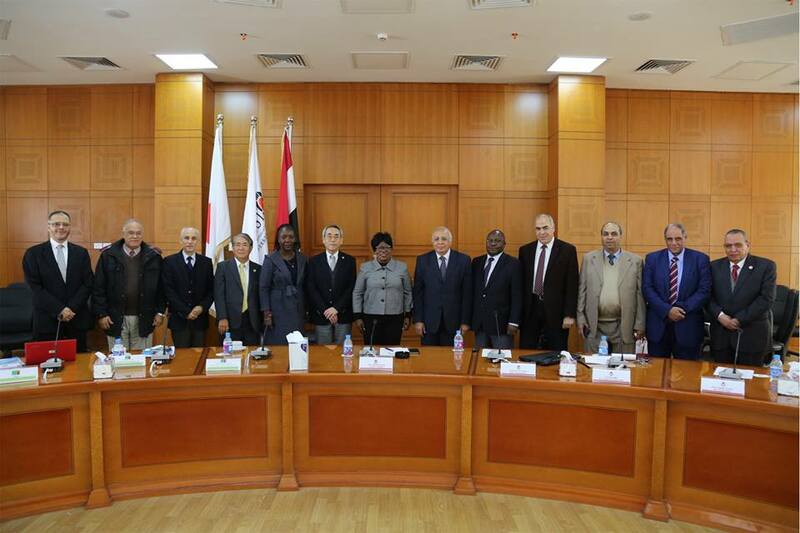 The Minister stated that Zambian Universities representatives shall coordinate to visit Egypt as well as Egypt-Japan University of Science and Technology (E-JUST) to gain from both Egyptian and Japanese faculty staff members experiences in the application of logical thinking and mathematical skills. 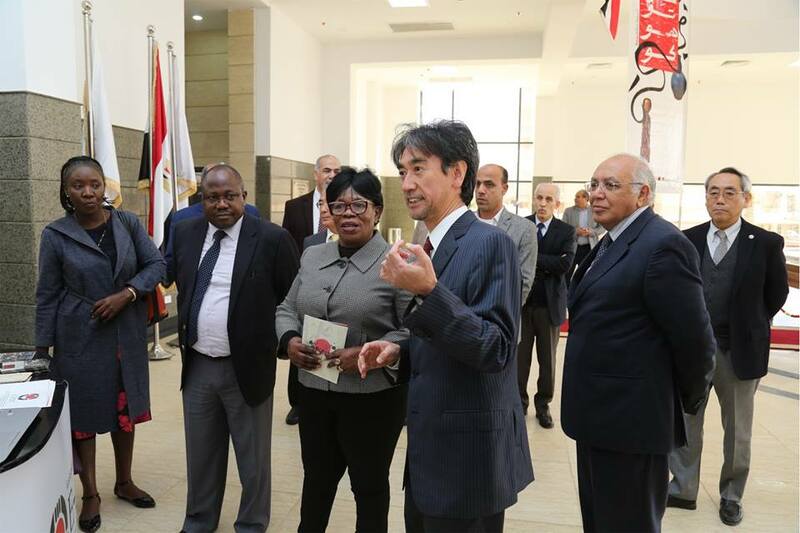 Moreover, Prof. Ahmed Al-Gohary announced that, in collaboration with Japan International Cooperation Agency (JICA), the University receives applications for MSc and PhD scientific degrees from African students. 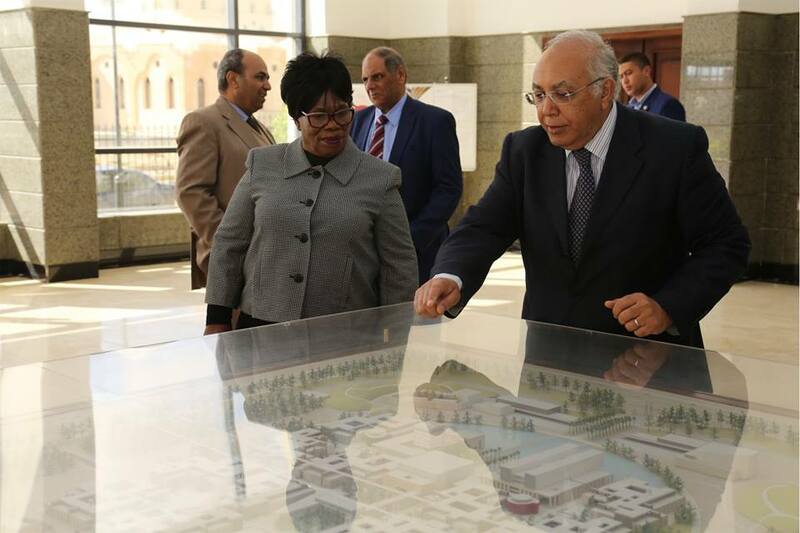 The concerned Engineering fields are; Electronics and Communications, Computer Science, Robotics and Mechatronics, Industrial and Systems Management, Energy Resources and Environmental, Chemical and Petrochemicals. 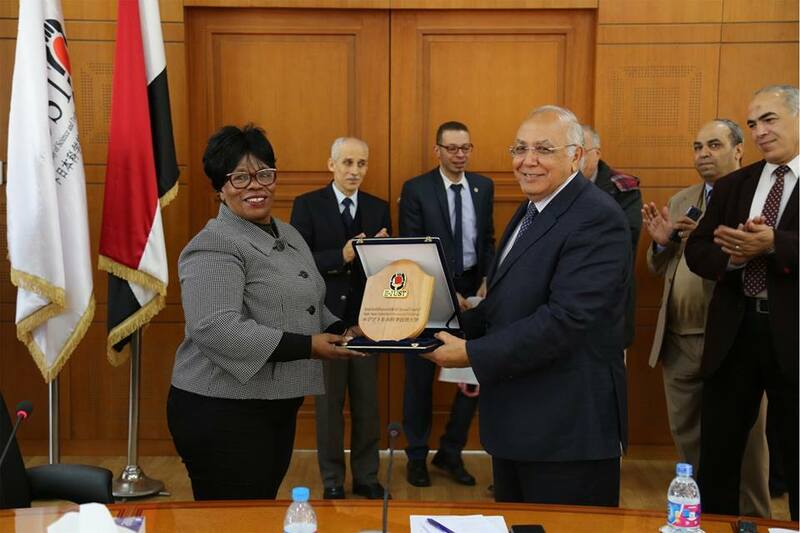 He also stressed the importance of introducing Egyptian and African students to advanced technologies as well as training them to utilize logical thinking in scientific and technological fields in order to promote creativity and innovation.